How do you organize your photographs? While it may not seen like a large question when you first start out, the more photographs you take and the longer you are at it, the faster the backlog can grow. I am now almost 900 days into a 365 project (taking and uploading at least one photograph per day) and have accumulated a collection of more than 40,000 shots. By implementing the processes and procedures described below, I have been able to keep it under control and easily find images when I need them. A tag is a word or phrase that is attached to files and can be searched for at a later time. Tags are an incredibly useful and powerful way to keep your photographs organized and to assist you in easily finding specific photographs when you want them. In this article, I will explain two important ways that I use tags: first, when reviewing and culling images and second, when categorizing them for future use. 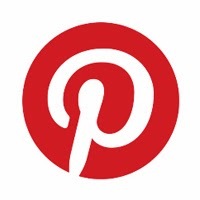 Think about the steps that you take when you are downloading and reviewing your images. The more streamlined and efficient you can make that process, the more time you can spend shooting, processing, and enjoying your images instead. After downloading your images to your computer, the next step is to determine a system for categorizing them as you review them. Some people use the star or ratings systems that come with their software, but I recommend using a system of tags, for their flexibility, customizability, and ease of use. The function to add tags to your images in available in a variety of photography software programs, including Picasa, iPhoto, Lightroom, and others. Personally, I use Picasa because it is free, integrated with Google+, and compatible with my PC, but choose what works best for you. You can even add tags to your images directly in Windows: when you click on an image in its folder, ‘tags’ will be one of the categories that shows up at the bottom of the folder. You can click in the box right after it and type in any tags, separated by a semi-colon. Hit enter to save them. The benefit of using a program like Picasa, iPhoto, and Lightroom is the ability to add the same tags to multiple photographs or entire folders at once, by highlighting the files or folders before adding the tag or tags. Regardless of the method you use for adding tags to your images, you need to find a ranking system that works for you. When I first download and view my images on my computer, I use a simple tag system to sort them into three main categories. Once this initial sort is done, I can do a search in Picasa for all photographs tagged with ‘like’ and then concentrate on just those. Once I have narrowed down the pictures to just those that are worth ‘like-ing,’ I go through a second review that is more detailed and has two main purposes: first, narrowing down and selecting my photograph of the day for my 365 project, and second, tagging the images with any important attributes that I might use to find them later. For choosing my favorite image of the day, I review all the images tagged as ‘like’ and use the tag ‘runnerup’ for any that really stand out. Then, as necessary, I do a search narrowed down to just those ‘runnerup’ images and chose the one that gets tagged ‘365project.’ The ‘runnerup’ tag serves as a reminder of my favorite photographs and is one that I try to use sparingly. You may prefer a more obvious tag like ‘favorite’ for this purpose. These four photographers were my runner-up contenders for May 31st, 2013. 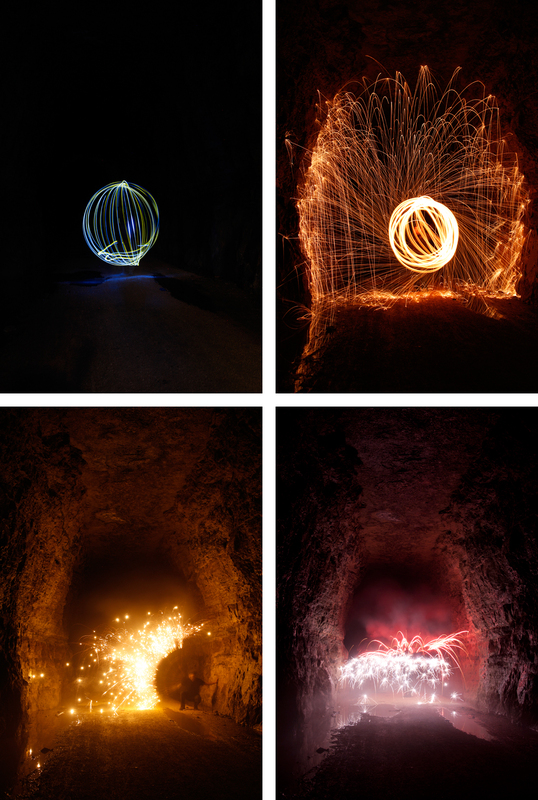 Read here How to Spin Fire with Steel Wool or How to Spin an Orb. 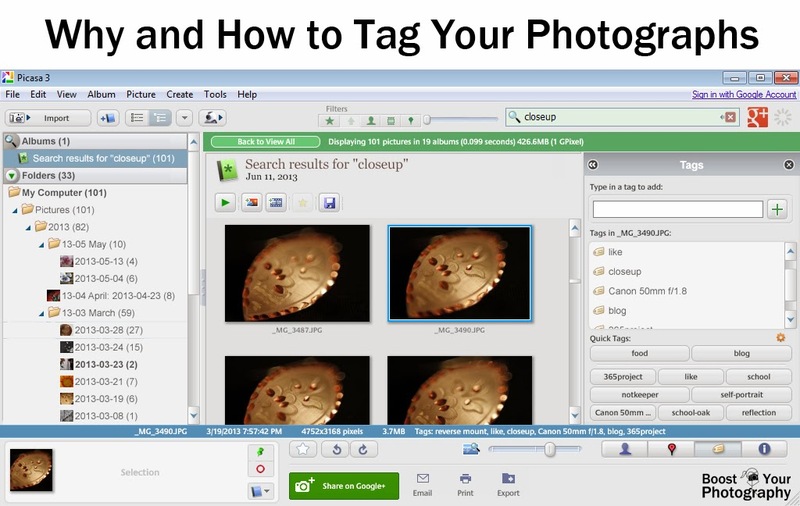 The last step in tagging is deciding what kinds of information and attributes you want to assign to each image. It is important to take some time to think about how you plan to use your images in the future and for what purposes. Are you planning to print some of your photographs for later framing in your home or to sell? Then you might want to use a tag for ‘frameable’ or ‘tosell’ or ‘bestever.’ Do you want to start a collection of photographs of hands working or of sunsets? Then you might want to use a tag for ‘hands’ or ‘handcollection’ or ‘sunset.’ As an aside: it is easier and more reliable for the computer to search for one word tags, so when using a phrase, I recommend either smushing it all into one word or using hyphens. I tend to think of these ‘future tags’ in a few distinct categories: people, location, subject, techniques, and accessories. Within these categories you want to think of both general and specific groupings that you might come in handy when searching for certain images. 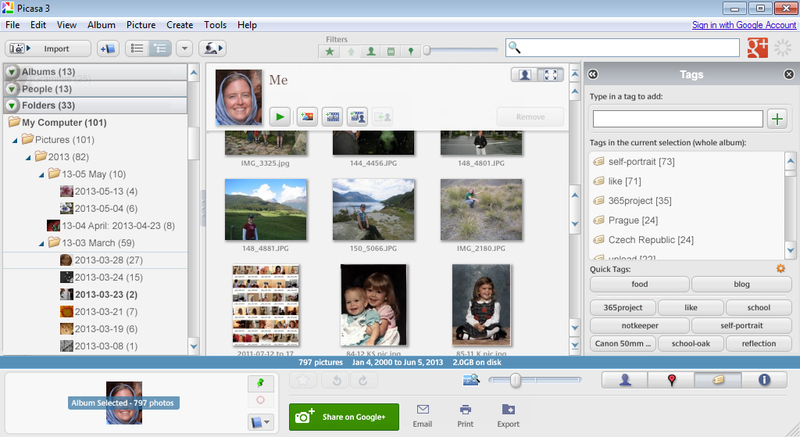 Picasa has a function that searches photographs for faces and groups them according to individuals. You can then give a name to those people, and Picasa will continue to find and identify photographs with those individuals. I have been suitably impressed by its ability to recognize photographs of me even as a child, but it can also be distracted by things like paintings or pictures of people on money. It works well enough for my purposes, so I use this function if I want to search for photographs with a certain person in them. The alternative would be to add a tag with the person’s name (or descriptor, such a ‘Mom’) for later searches. I use tags for the location mainly when I am traveling or taking pictures of an important landmark or location near my home. These are not always tags that I plan to use when searching for an image later, but they serve the important purpose of reminding me of the specific names of places, buildings, or geysers months or years down the line. 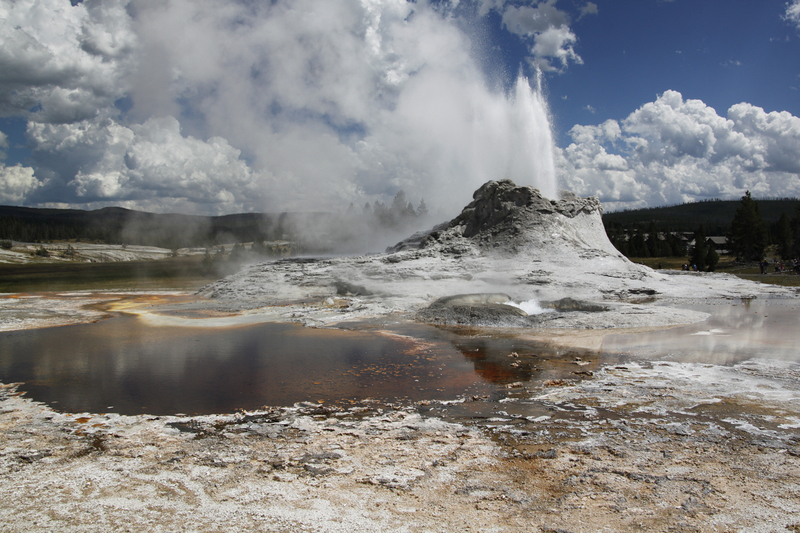 I will often use a general tag for all images from a trip (such as YellowstoneTrip or AlaskaCruise) and then progressively more specific tags for state or country, city, location, and name of building or feature. The photograph above is tagged Yellowstone; NationalPark; CastleGeyser; UpperGeyserBasin; geyser; eruption; reflection; and landscape. The next tags that I consider are those for the subject of the image. A photograph of a cardinal in my yard might receive the tags wildlife; bird; cardinal for the subject, while a photograph of Brussels sprouts might receive the tags food; vegetable; brusselssprout. Again, try to think of a combination of general and specific that might be useful later. 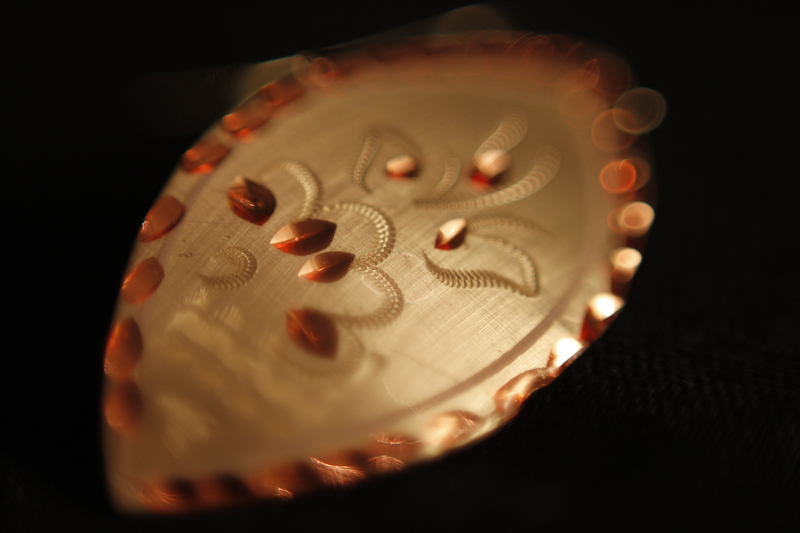 This earring photograph is tagged with macro; closeup; jewelry; bokeh; Canon50mm; reversering; lowkey; 365project. Finally, I tag the images for any specific photographic accessories or techniques that were used. For accessories, I find it very useful to remember whether I used, say, a +10closeuplens or an extensiontube or a reversering to get a specific macro photograph, but I also use a general tag like macro or closeup to be able to search for all of them at once. For techniques, I add tags for composition or style of photograph, such as selfportrait, lightpainting, or ruleofthirds. This subset of tags has been particularly useful when looking for specific photographs to illustrate a technique or method for a new blog post. Tags are a powerful way to future-proof your photographs and ensure that it is easy for you to find specific photographs, locations, or techniques later. Tags are also a quick and easy way to do an initial sort of your images and to determine which are worth spending more time on and which can be safely removed or deleted. The more thought you put into your categories, the more quickly you’ll be able to add useful tags to your images and the more easily you’ll be able to access them later.